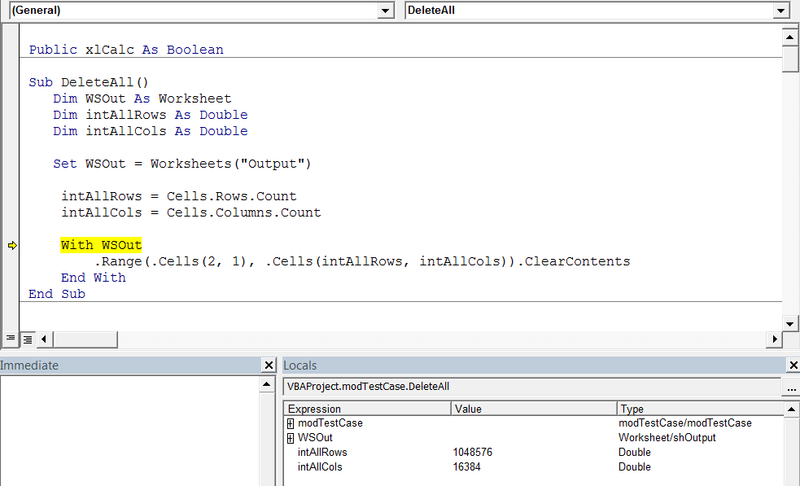 In this post I will simply show a few VBA tricks, for defining last used cell in a row (or column) and defining the size of the worksheet. You see, that you obtain immediately information for the number of rows and columns in the spreadsheet. Pretty workable. In this example we have put the value “100” in the cell C4 (column 3, row 4) and we have determined which is the last used row in column C (the answer is row 4) and which is the last used column in the forth row – the answer is row 3. Their values are also determined, as you see in the immediate window. How we have done this miracle? We have simple asked VBA to give us the first value it meets from the end of the column to the top and from the end of the row to the left! 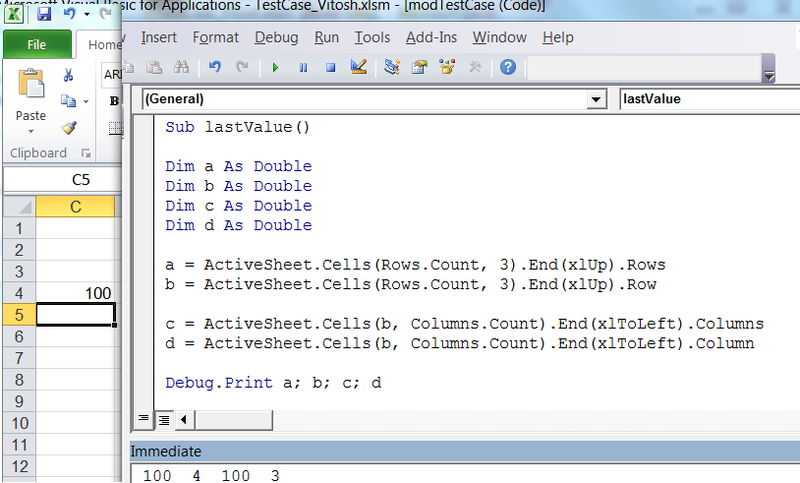 As you have noticed in the previous example, the Columns.Count gives the number of the columns.